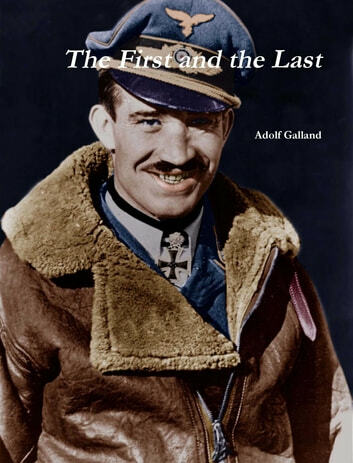 Adolf "Dolfo" Joseph Ferdinand Galland (1912 -1996) was a German Luftwaffe General and one of the greatest flying aces of World War II. He flew 705 combat missions, and fought on the Western and the Defence of the Reich fronts. On four occasions he survived being shot down, and he was credited with an astonishing 104 aerial victories, all of them against the Western Allies. He is a legend of air combat, and this is his heroic story. First published in 1954, this is a reprint of the original edition and not any revised version. It was a best-seller in 14 languages and sold three million copies. It was also very well received by the British and American airforces as a frank and honest statement of how the war was won and lost in the air. Time magazine,too, called this book "The clearest picture yet of how the Germans lost their war in the air." Galland shares an interesting and personal perspective on the times and challenges of those troops fighting on the other side of WW2. If you like strategy, technology development and history this is well worth reading.